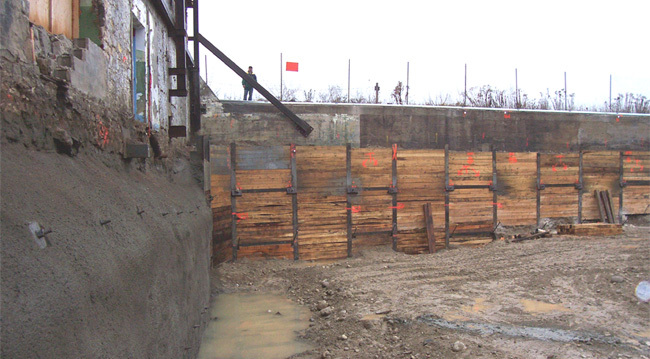 Work on this site involved the supply and installation of caissons, underpinning, rock anchors, as well as both traditional soldier pile and lagging and shotcrete shoring systems. 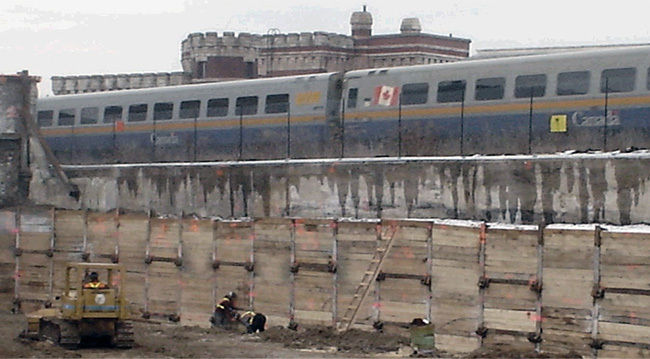 Shoring designs were required to incorporate work next to the existing CN passenger rail tracks and the historical heritage buildings being developed into the new structure design. 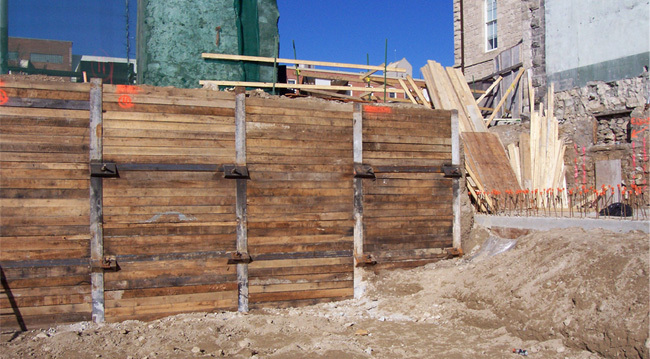 Due to the nature and age of the buildings impacted by the work shoring design required flexibility of design while maintaining and adhering to the strict tolerances required by the specifications. 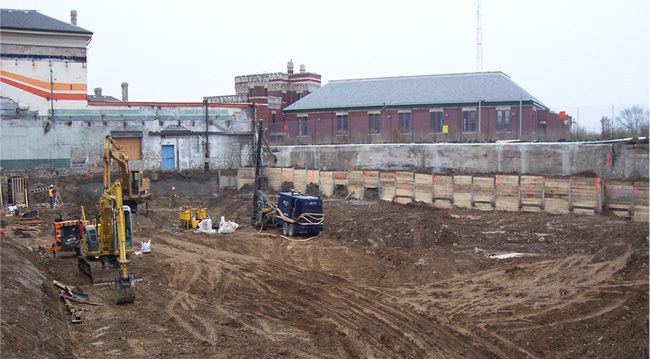 The combination of the shoring systems in conjunction with the design capacity for on site modifications allowed the excavation to be completed uniformly across the site and helped to accelerate the construction schedule.